...and no freakin' idea what to do with it! 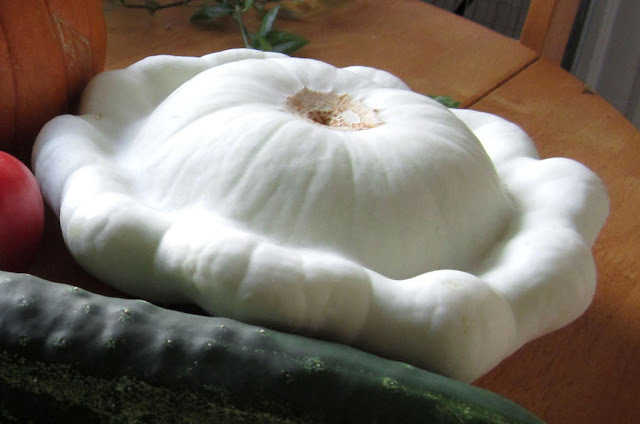 I started Googling "UFO-shaped squash" because I didn't even know what type of squash it was - turns out it's just a really large Patty Pan squash. It also turns out that I did not know how many varieties of squash there are out there! 2.) Cubed in a casserole. Since I love roasted squash SO MUCH, I decided to incorporate that into my recipe since I wasn't exactly sure how this type of squash would taste - and roasting seems to bring out the best in things. As it turns out, when it's roasted it turns into a buttery savory bundle of deliciousness, so I know I made the right choice! 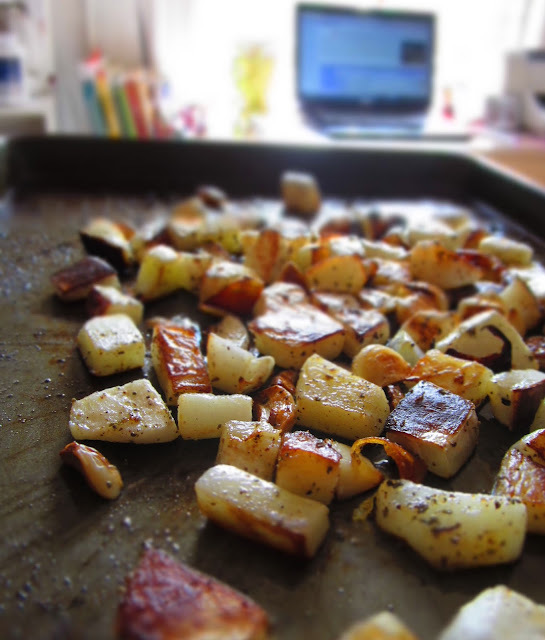 I threw in a few cloves of garlic while roasting too, because really, who doesn't love roasted garlic? If you only have small Patty Pan squashes you can definitely use those too! I'd recommend about 5 total. 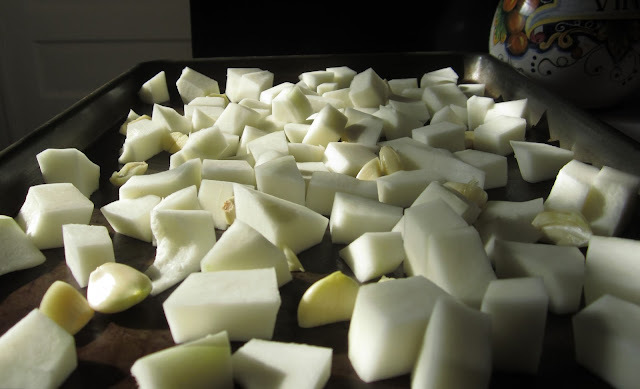 Set oven to 400 degrees F, and spread the cubed squash on a large cookie sheet. 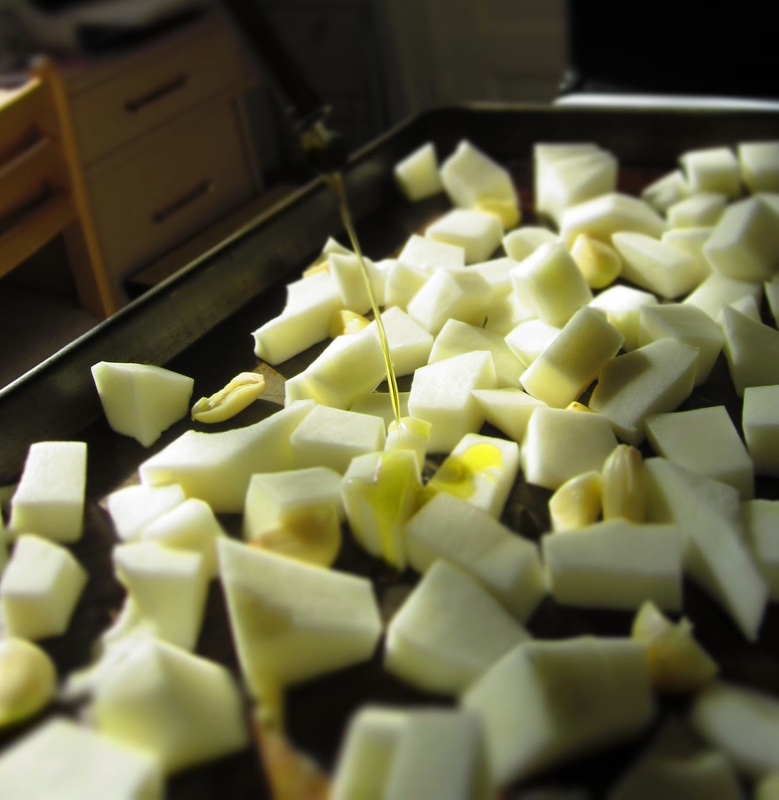 Throw in the garlic cloves, and douse everything with olive oil. Season with salt, pepper, and sage. Roast in the oven for about 30-45 minutes, turning once halfway through. Everything should be pretty evenly browned when they're done. In the meantime, heat the veggie broth in a large pot on the stove to medium-high until boiling. Dump in the brown rice, reduce the heat, and cover to let simmer for about 20 minutes. The rice will not cook all the way through. Dump in the roasted squash & garlic and stir. Reduce heat to medium-low, and let simmer for another 10-15 minutes. Add the beans, and stir until everything is heated through. You may need to add a little more hot water or broth at this point to make sure everything is submerged. Remove from heat and use a hand blender to blend everything together. I left some big chunks in there still, just for texture. Serve with some crusty bread, and top with Parmesan cheese if desired! This turned out so delicious and creamy (without any cream!). 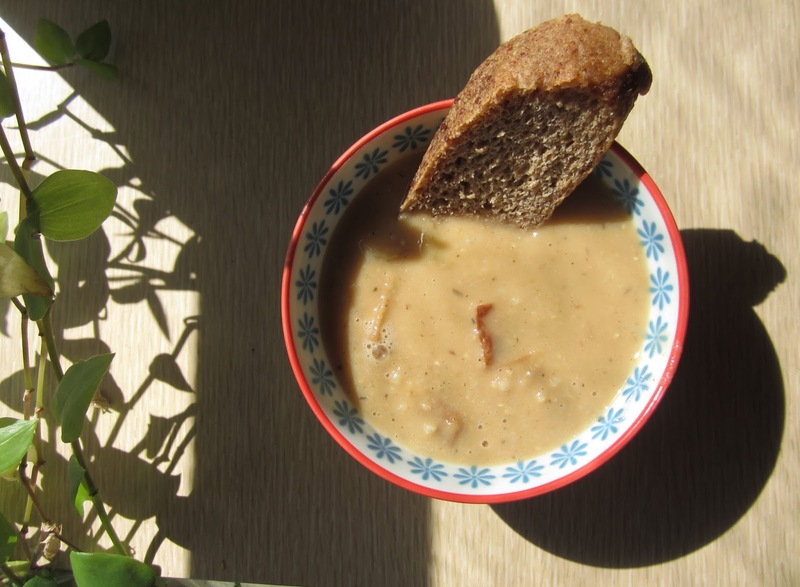 This soup would be beautifully accompanied by a bright & fruity green salad to counter the salt. Hey-o! I still have my UFO squash. I need to make this! 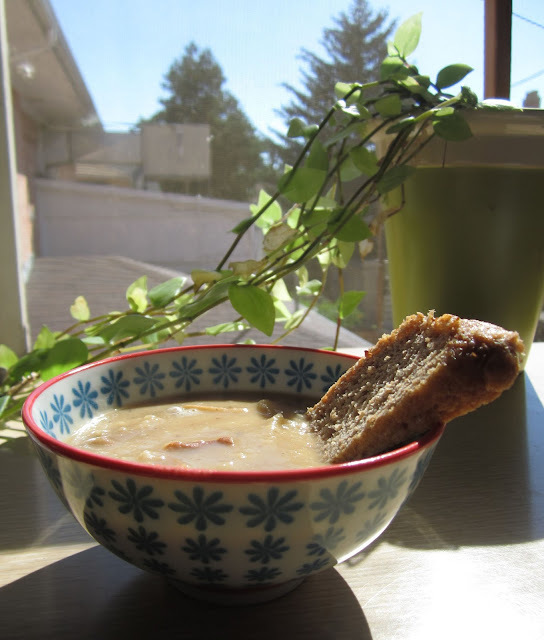 Can you work on making print friendly recipes for your new food blog that includes a picture?